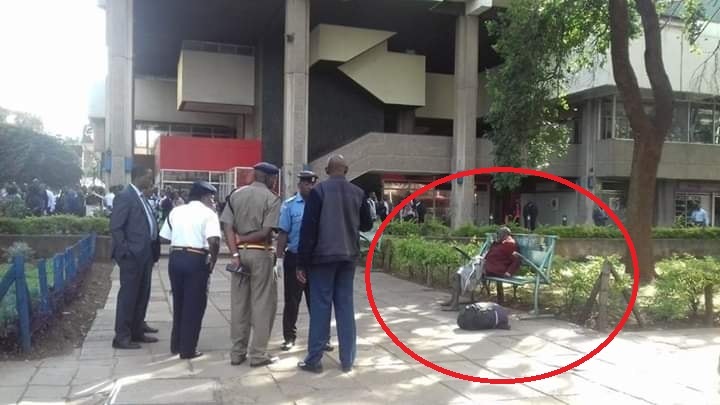 Home / Entertainment News / Lifeless body of an unidentified male found on the bench in Nairobi’s CBD with a bag placed next to it (PHOTOs). 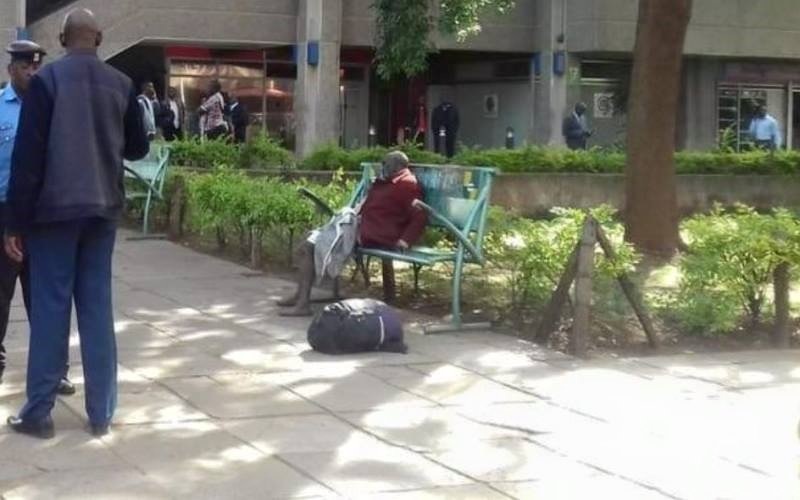 Lifeless body of an unidentified male found on the bench in Nairobi’s CBD with a bag placed next to it (PHOTOs). Tuesday, January 29, 2019 - A body of an unidentified male has been found on a bench near Kenya Cinema in Nairobi’s CBD. A bag was placed near the lifeless body and police have been called to the scene to try and unravel the mystery. They are not taking chances following the recent cases of terror threats. Here are photos from the scene.